LAKE JULIANA ESTATES!!! 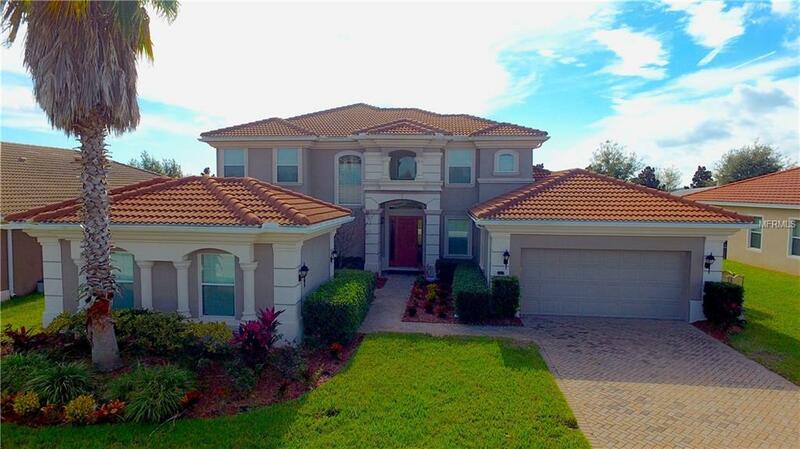 Marvelous Mediterranean Pool Home located in the gated community of Lake Juliana. This luxurious home features a Mother-in-Law Suite, 5 Bedroom, 4.5 Bathrooms, a Game Room and Office. The homes magnificent upgrades feature wood floors, recessed lighting, vaulted ceilings, crown molding, plantation shutters, and archways. Completely paved driveway leads to the court yard and front door. The impressive foyer entry greets you into the formal living and dining room spaces. Through the arch way into the expansive gourmet Kitchen that boasts granite counter tops, custom wood cabinetry, Built-in Stainless Steal appliances, walk-in pantry, an oversized island/breakfast bar, and open view of the family room and breakfast nook. Down stairs Master Bedroom includes a sitting area, access to pool, and a private study. The spacious master bathroom includes a garden tub, tiled walk-in shower, an extended dual sink vanity, and his & her walk-in closets. Attached to the master is a Mother-in-law suite with private entrance and a full bathroom and mini kitchen. Up the stairs expands to a loft space and remaining bedrooms featuring Jack & Jill bathroom. The outdoor space is excellent for entertaining guests. The bi-level screen enclosed pool area is covered with custom pavers and the pool has a child safety fence. Community features include, pool, clubhouse, fitness center, tennis & Basketball court, and playground. Listing provided courtesy of Remax Experts.